What About Travel Nurse Licensing? Do I need a license in each state? Yes! But do not let that slow you down. If you are a registered nurse licensed in any state in the US it will be fairly easy to get your license endorsed in another state. Note that I said fairly easy. There are caveats, of course, and you will need to plan accordingly. 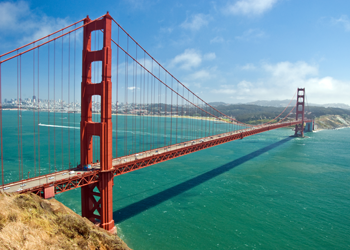 Don’t go wandering around the Internet and spot that fabulous sounding job in California and think you are going to be working there next week. You aren’t. California just happens to be one of those states that take a little bit longer to get your license endorsed. 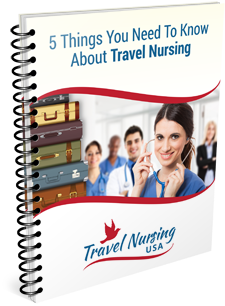 So you will need a travel nurse licensing plan and you will need to think forward. What I try to do with my clients is map out the year in advance. It isn’t something they absolutely have to stick to but it helps to have a track to run on so there will be no surprises down the line. Well I was pretty sure she wasn’t going to get any warmer going to Minneapolis but she’s the boss and I was able to find her a nice job in a really wonderful facility. The only problem was she didn’t have a Minnesota license either. I got her online and being the organized nurse she is she had all of the required documents to them and they issued her a Minnesota Nursing License in 4 days! She was working a couple of weeks later. Our plan for her is to try to get her an extension after the first assignment and negotiate some time time off for the wedding. During her stay in Minnesota we will apply for a California license a few months early because California is one of those states that takes time. When Summer rolls around and her second assignment in Minnesota is ending we’ll be scouring California for just the right spot for her, taking into account the job, where she wants to be and (importantly) the implications of housing costs there. Having a recruiter or Advocate who knows that sort of information can make or break a good assignment. As an aside, this particular nurse is home based in Wisconsin which is a Compact state. That means she is already licensed in 25 states. That opens up a lot of possibilities for travel. Other states are known as “walk through” states. They have a streamlined temporary licensing agreement which speeds things up. These licensing times are a moving target and if you would like current estimates of a particular state you can email me at conrad@travelnursingusa.com. Just tell me what state is your home base license and what state you need travel nurse licensing information for. I’ll be happy to email it to you. The bottom line? Travel nurse licensing is important, obviously, but don’t let the lack of a license in a particular state stop you. All it takes is a little bit of planning. You don’t have to take tests. It is really just paperwork for the most part. And if Florida is on your horizon, rumor has it the legislature is seriously considering going the Compact. Knock on wood.